Read about how Barcelona will pilot a beyond state-of-the-art wind and air quality monitoring network, including how it will integrate with the GrowSmarter platform. In addition, the first results from our last-mile delivery services with electric bicycles are available! 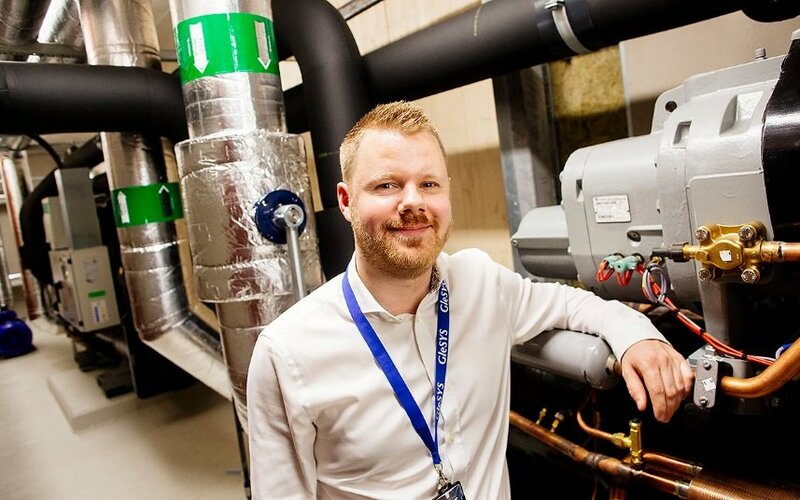 Within GrowSmarter, measures are being carried out to develop an air quality model at the urban-scale using Computational Fluid Dynamics (CFD) simulations. 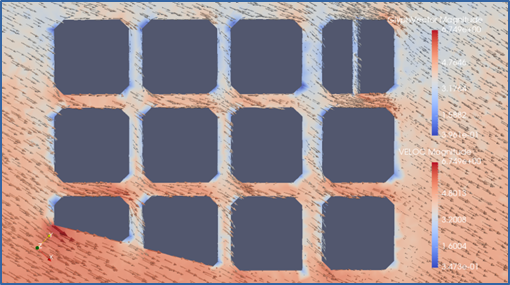 In order to provide real-case inputs for the operational air quality nowcasting and the short-term forecasting of the CFD models, a set of monitoring sensors will be deployed in an initial pilot area in Barcelona. 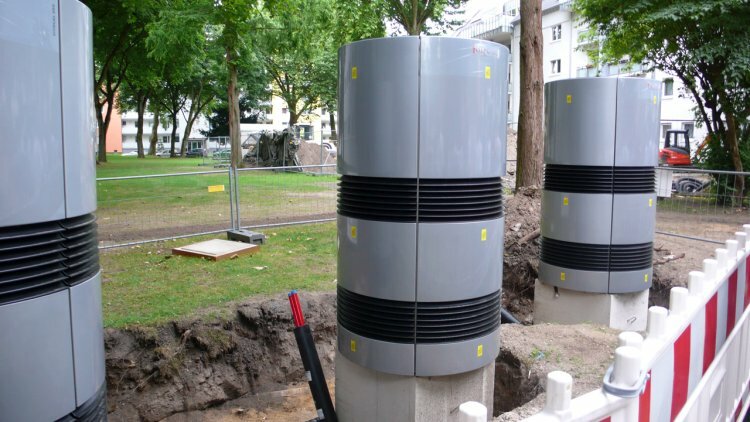 The monitoring nodes, composed of wind and air quality sensors, will be installed in 4 Smart Towers in the 22@ district. This use case will also include vehicle counting equipment for emission monitoring purposes. 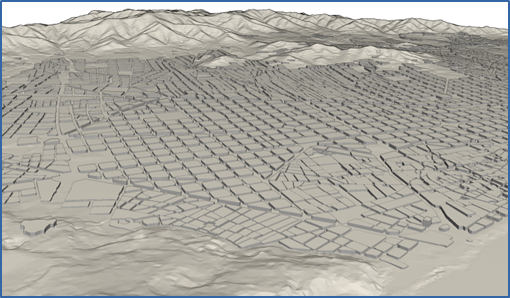 An urban-scale air quality model - why? Air quality and associated impacts on public health are matters of growing concern in many urban areas. Public administration and health agencies are tasked to monitor the quality of air and, eventually, to make model forecasts to assist the adoption of reactive measures and to warn the public of air pollution that could affect vulnerable groups of citizens. Urban-scale pollutant dispersion models require of two critical inputs: high-resolution wind fields near urban-scale morphologies (buildings) and pollutant sources (mainly derived from vehicle combustion) through sensors and emission inventories. 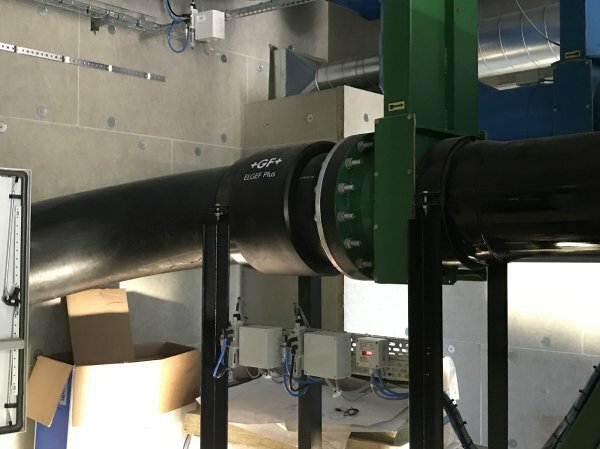 Today, the increase in computational capabilities is making it possible to envisage a near-future scenario in which Computational Fluid Dynamics (CFD) models will be used to simulate urban-scale winds and pollutant dispersion operationally. In this scenario, the massive deployment of low-cost sensors for monitoring wind and the concentration of critical pollutants will be critical. 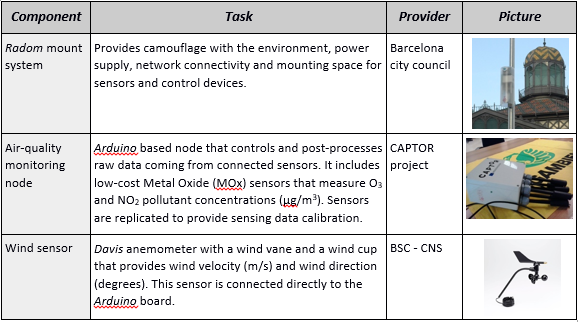 Using the city of Barcelona as a test bed, this use case will deploy a low-cost sensor network to extend the current monitoring network of environmental sensors to selected urban areas of Barcelona. Real-time data will be used to initialise and validate an in-house CFD-based high-resolution (tens of meters, hourly output) urban-scale air quality model before its operational implementation. 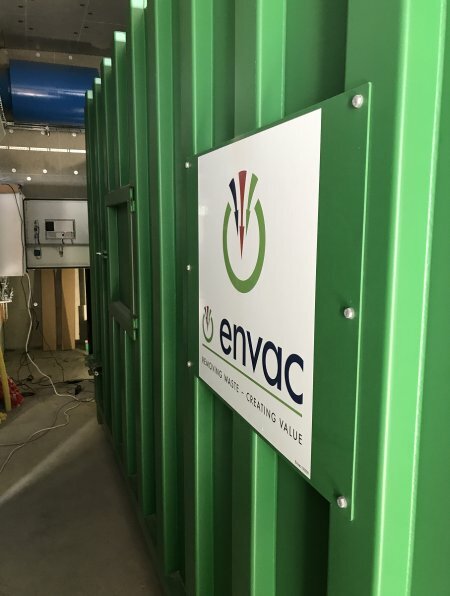 This system is being developed at the Barcelona Supercomputing Center (BSC) in a joint collaboration with the Barcelona City Council (IMI - Municipal Institute of Information) and the CAPTOR project, who provides the monitoring nodes that integrate the air quality and wind sensors. 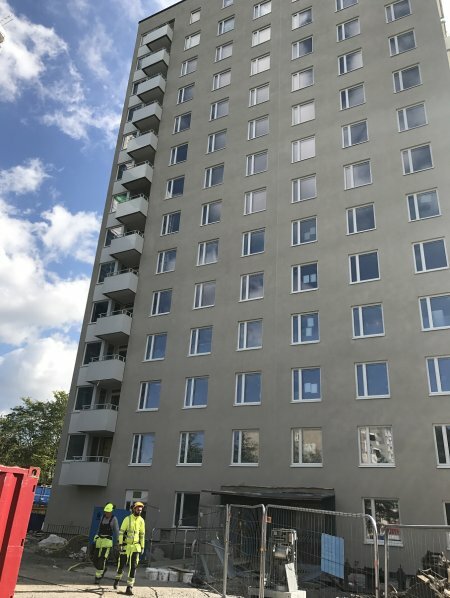 The monitoring nodes for wind and air quality will be installed in 4 GrowSmarter Smart Towers in the 22@ district, also including vehicle counting equipment for emission monitoring purposes. Flow of vehicles (vehicles per minute). The collected data will be sent to the GrowSmarter platform through the GrowSmarter API. The data will be used by the air quality monitoring software (nowcasting) developed by BSC-CNS that can predict wind fields in the streets with a resolution of 10 metres and 1 hour, and gas concentration with resolution of 10 metres and 1 hour. These resolution values are beyond the state of the art in air quality modelling for nowcasting. Moreover, the sensing data information and the sensor-derived nowcasting maps will be offered as Open Data to third parties through the GrowSmarter platform so that consumers of these environmental data can use this information to provide environmental monitoring services. 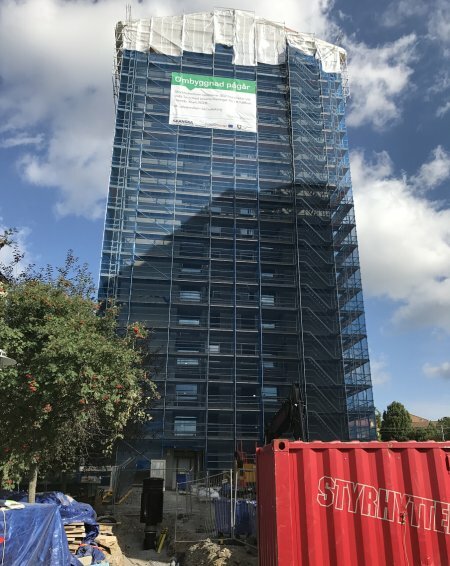 This use case is a clear example of synergies gained from integrating infrastructures of GrowSmarter: The Smart Towers will provide support for the monitoring nodes and provide communication infrastructure, while the GrowSmarter platform will provide the required data storage for the collected data. The air monitoring software is an example of a service developed on top of the GrowSmarter platform that will provide monitoring services. Moreover, this use case is an example of collaboration among different entities and projects beyond the GrowSmarter project. In January 2017 the microdistribution platform became operational. The service is offered by the company Vanapedal. 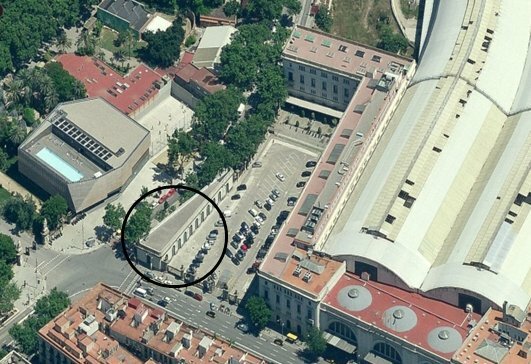 The municipality of Barcelona has leased a public space to the company, which is obliged to be neutral in the market and work with any logistics operator willing to use the service. Test a new sensor system to measure pollutants and other environmental parameters using the bicycles of the service. The Last Mile Operator Vanapedal offers different services, the most relevant of which is the distribution of parcels and packages from other carriers to their final destination. Carriers bring these items to the microplatform which is conveniently located close to the city centre. These are then transferred to electric bicycles and tricycles. The last mile is then performed by drivers from Vanapedal following their established routes. Parking and access regulation do not apply to bicycles, so no delivery time window restrictions affect the distribution. The service has been running since January 2017 from the Estació de França location with success, although the market is difficult to reach since there are also competitors and some logistics companies have begun operating their own last mile deliveries using sustainable modes of transport. Currently, up to 9 bicycles are being used in daily operation. The company gathers all business information of their operations including the daily number of deliveries and pick-ups, the number of kilometres covered and the time needed to cover all routes. This information is being collected monthly and the first results of the analysis of this information have been made. 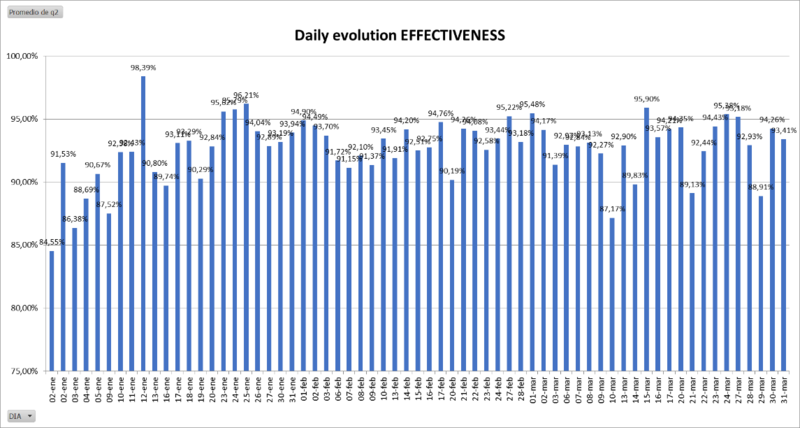 During the first three months of operations, 23,000 journeys have been performed and an increase in the daily number has been noted. 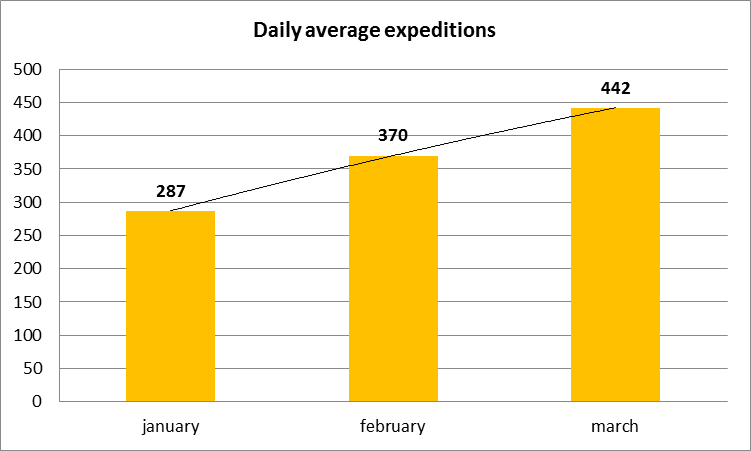 In February, the average distance covered was of 65.5km/day, while in March this figure increased to 160km/day due to the introduction of three more tricycles. Also, the effectiveness of the deliveries is being monitored. So far, the average percentage of successful deliveries has been 92.73%. This value has increased over time, but it is seen as very good compared to conventional carriers. The next step is to continue analysing the data obtained from the operator of the microplatform and compare it with the data obtained from the sensors that have been installed in three bicycles that offer further information such as the routes followed or the concentration of contaminants. The last step of the process will determine how much traffic and CO2 this measure has reduced. This will help to encourage other cities to implement similar last mile services. 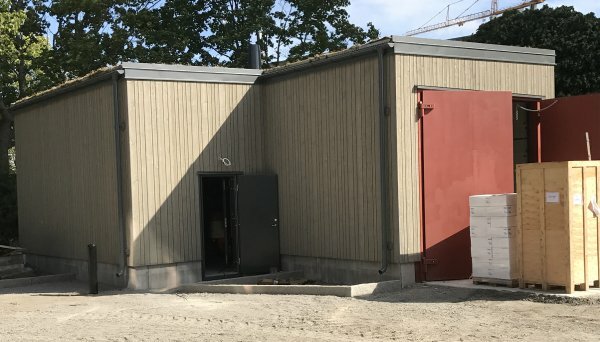 With the first phase of construction completed in the Stegerwaldsiedlung, all that remains to do is to connect the Siedlungsmanagement software. In the world of data, we are also working with a broad range of Cologne's open data to integrate into the urban cockpit. 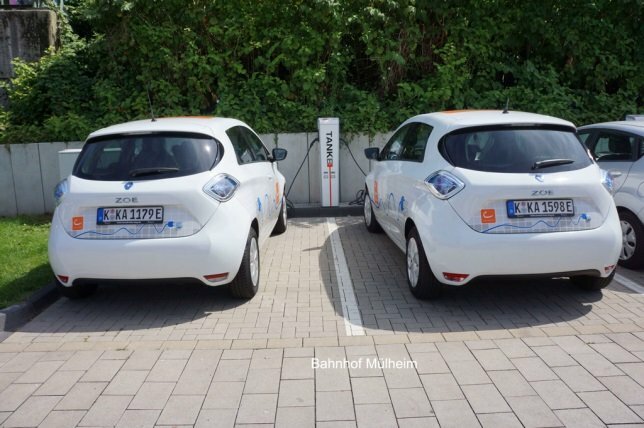 Lastly, our mobility stations - featuring carsharing and electric vehicle charging - are operational. Read on for more details and pictures! 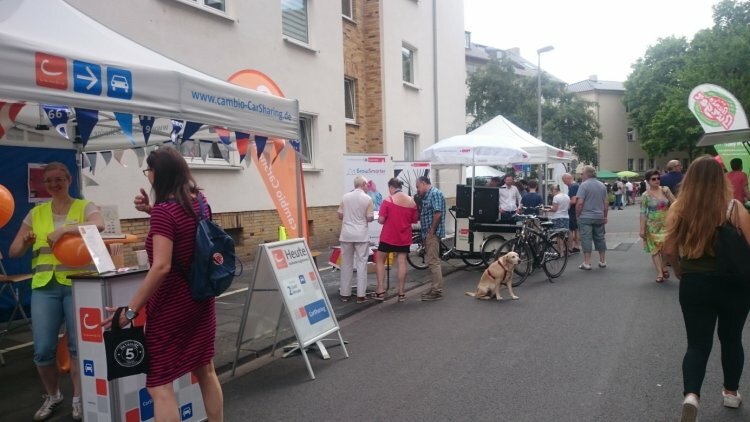 The “Day of Good Life” is a family and neighbourhood festival for the entire district of Deutz, just south of our project area Mülheim. To show how a district can evolve, thirty streets in Deutz and the Deutzer Bridge across the river Rhine were closed to traffic. On Sunday, 18 June approximately 150,000 visitors came to the Day of Good Life event, a visitor record. 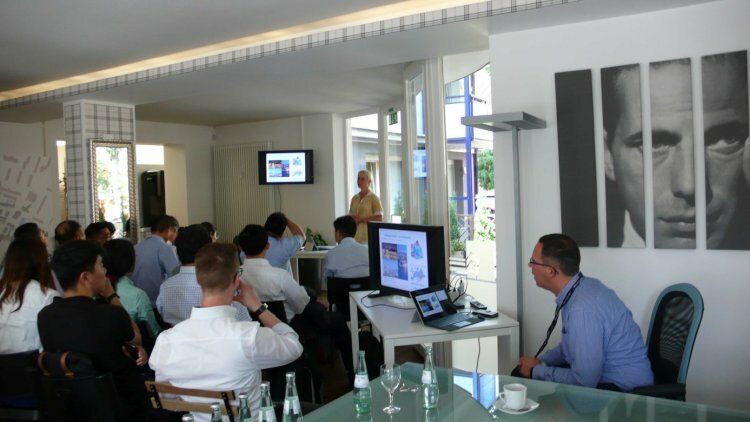 All activities had the aim of testing a joint venture on how life in Deutz could be made sustainable and future-oriented over the coming decades. At the GrowSmarter booth, visitors were particularly interested in alternative mobility solutions. The industry partner Cambio CarSharing offered free registration, an attractive that offer was taken advantage of by 37 people. Students and instructors from three foreign universities would soon like to visit Cologne for a knowledge exchange. 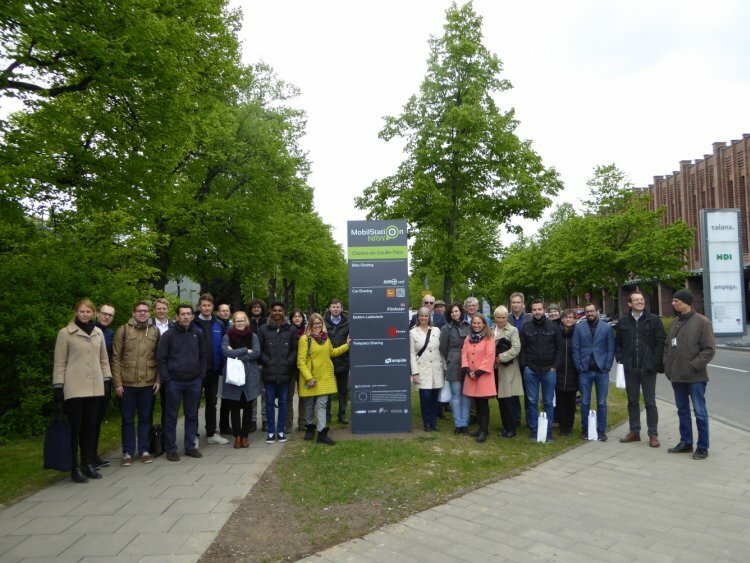 The representatives from the University of Barcelona know the GrowSmarter activities in their own city and would like to see how Cologne is implementing their measures. Students at the University of Basel are very interested in learning more about the development of open data platforms. The German state of North Rhine-Westphalia (NRW) and the Republic of China have reached an agreement on environmental cooperation. China is interested in implementing the objectives of the Paris Climate Protection Agreement. The representatives of the provinces and municipalities are important players in this process of change. The “Deutsche Gesellschaft für Internationale Zusammenarbeit” (GIZ) (Association for International Cooperation) organises regular exchange programs with the support of the German Ministry of the Environment. The aim of the program is the acquisition of new knowledge and the exchange with experts, as well as the deepening of old contacts and the establishment of new contacts for the purpose of the cooperation between North Rhine-Westfalia and China. The focus of the trade exchange and the partner province representatives from Sichuan, Shanxi and Jiangsu was “Emission Control, Air Pollution and Renewable Energies". The representatives were keen on understanding more about GrowSmarter energy measures with the aim to examine which of the measures could be implemented and replicated in China. The delegation was made up of company officials and municipal representatives as well as the regional NRW government guests. 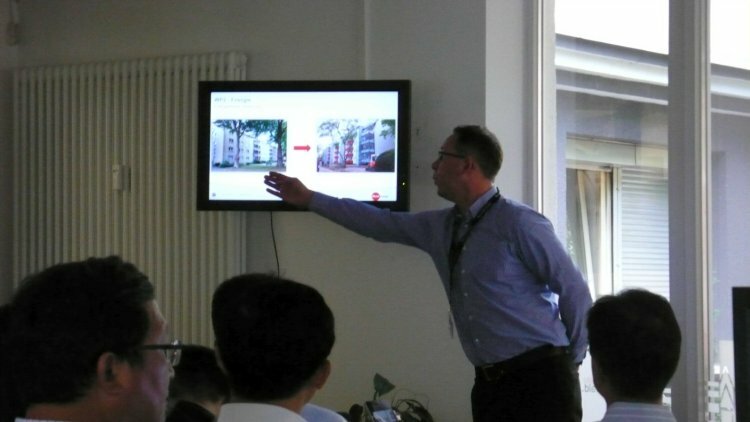 The project was presented to the visitors in the Stegerwald neighbourhood office. The project`s integrated approach was new to the visitors. This aspect was of paramount importance to representatives of municipalities in order to achieve sustainable city planning. RheinEnergie presented its energy management measures. During the tour of the settlement, the participants visited the facilities and were able to ask technical questions. Particularly interesting for the engineers was the new “Siedlungsmanagement” software (virtual power plant). 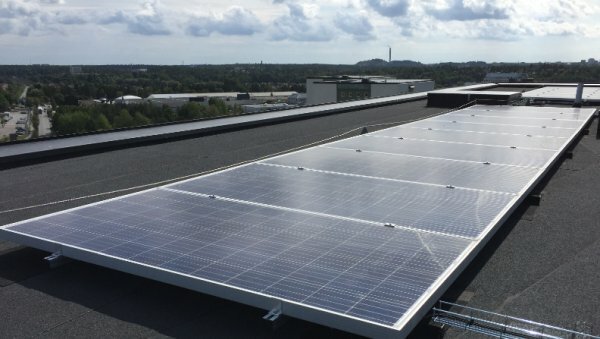 The approach of saving as much energy as possible in a building as well as implementing intelligent control for a larger number of buildings will be examined by some representatives for their projects in China. There was mutual interest in pursuing this knowledge exchange in the future. 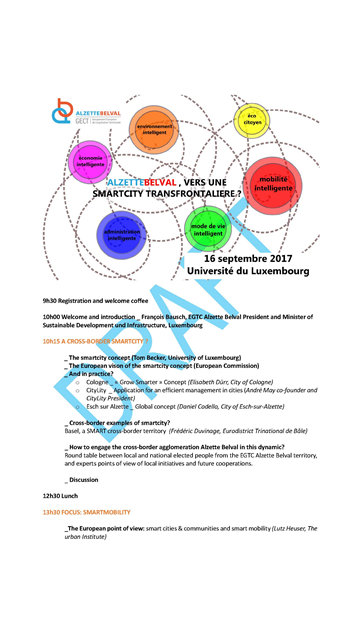 In mid-September, Cologne had the chance to present GrowSmarter at the SmartCity conference in its twin city, Esch-sur-Alzette, Luxemburg. Esch-sur-Alzette is planning to develop models for the cross-border region with Belgium and France. The Cologne process of choosing the data platform and urban cockpit was of particular interest for Esch-sur-Alzette. The city is planning to implement a uniform digitalisation strategy for the entire region. Everyone was convinced that a smart city can only be realised with an integrated approach. 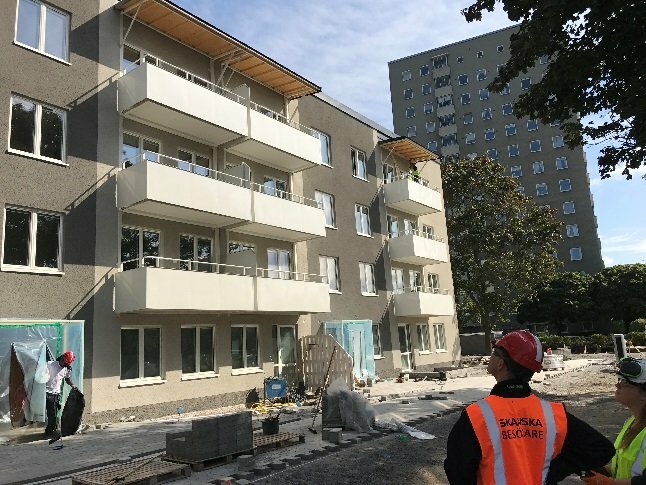 The first construction phase In the Stegerwaldsiedlung section is completed with the exception of final connection work to the Siedlungsmanagement. Phases 2 and 3 have started construction as well. 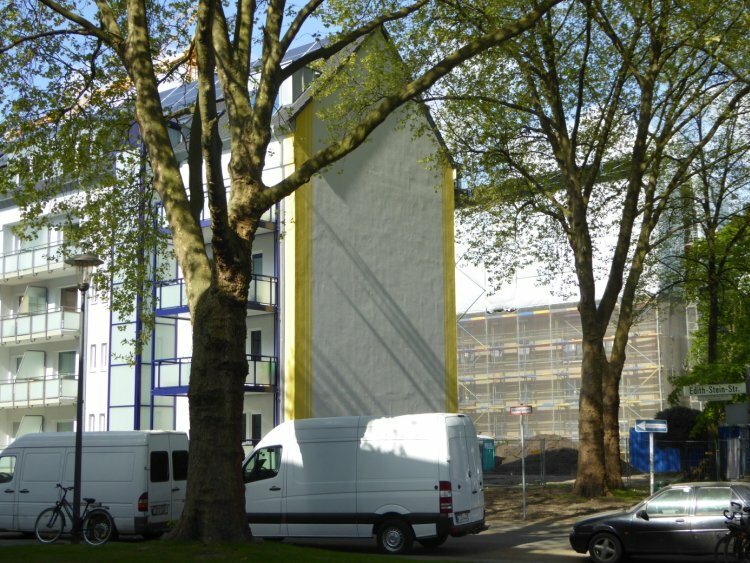 This City of Cologne website shows an interactive map (in German) of the current planned and/or implemented scope of work on each of the buildings. 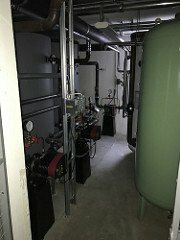 The heat pumps have been connected by the RheinEnergie. 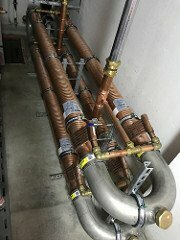 The first battery storage sets are also installed. 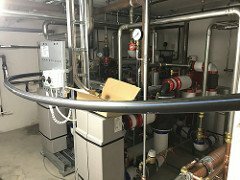 The RheinEnergie is planning to conduct an informational event for the tenants in November and December to further present and explain the RheinEnergie products Mieterstrom and SmartHome. Tenants who agree to install the SmartMeter equipment will also receive Smart Home. We have made great progress in this area convincing partners that sharing their data for GrowSmarter will be beneficial for all. In August of 2016 we reported about the Cologne open data platform (www.offenedaten-koeln.de). This was in place before GrowSmarter, but it offers a comprehensive database, which can be used for the project. Some very interesting records of the KVB could be included in the open data platform (www.offenedaten-koeln.de/dataset/og_group_ref/37972). It becomes evident that data from our partner KVB is not only a benefit for GrowSmarter but the entire open data community. For example, errors or failures in the escalators and lifts at the railway stations can be called up in real time. With these data, it is possible to individually define an accessible, personalised route before starting a journey. The data can also be used to ensure that the departure from a platform is possible without complications during the journey. The use of railway is therefore more attractive for people with limited mobility or mothers with baby carriages, for example. We have thus taken another step towards stimulating the population in rethinking their choice of transport. Our partner [ui!] 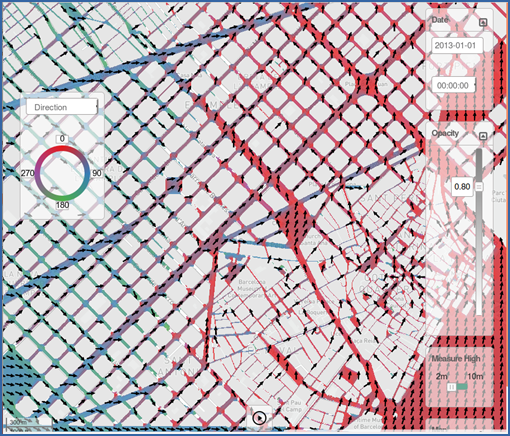 - the urban institute is now working on integrating multiple data streams into the urban cockpit. Almost all mobility stations are now fully operational. The mobility stations are easily accessible by foot, bus and/or train. The first experiences show that the stations are accepted among transport users. 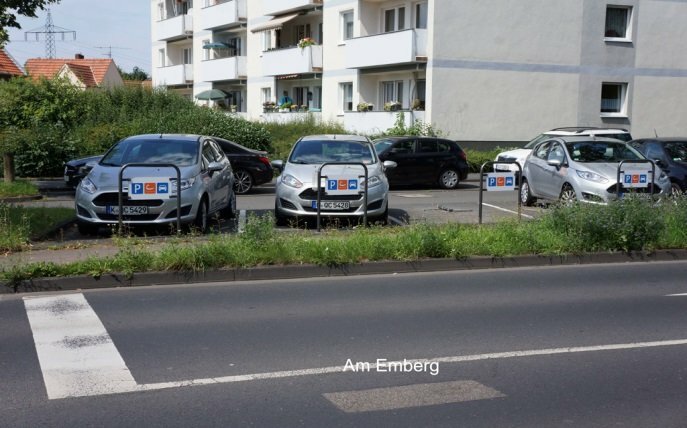 With the exception of one station, the RheinEnergie charging stations are implemented. All charging stations have two charging points. All stations also include a Cambio CarSharing station. 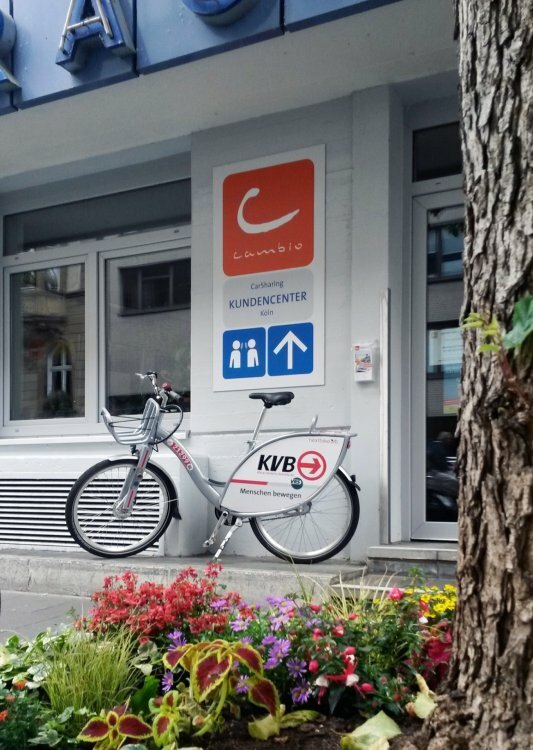 The industrial partner KVB was able to find a suitable partner for the E-bikes procurement, and by the end of the year 10 e-bikes are planned to be implemented. 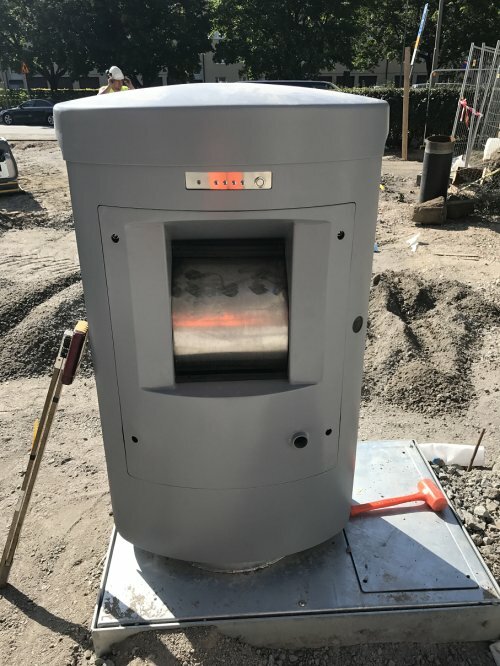 They will be installed at the sites Charles de Gaulle Platz, Mülheim train station and the Stegerwaldsiedlung. Ampido is represented at two of the three main mobility stations so far. 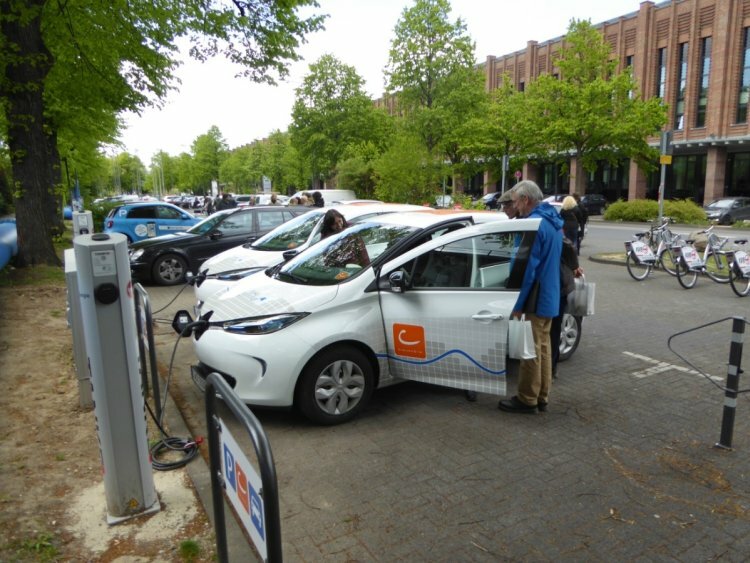 The Charles-de-Gaulle Platz provides 5 spaces for CarSharing cars (3 conventional cars, 2 e-cars), 12 bikes (7 conventional, 5 e-bikes), 4 Ampido parking spaces and 4 charging stations. This location also provides a public charging station with two charging points for the general public. In 2015, the conversation between the City of Cologne and the state legislation regarding unified coordinated signage for the mobility stations thorughout the state started to take shape. This development is unique and has influenced the region’s cities and communities in using the same language of signage in their development of mobility stations. 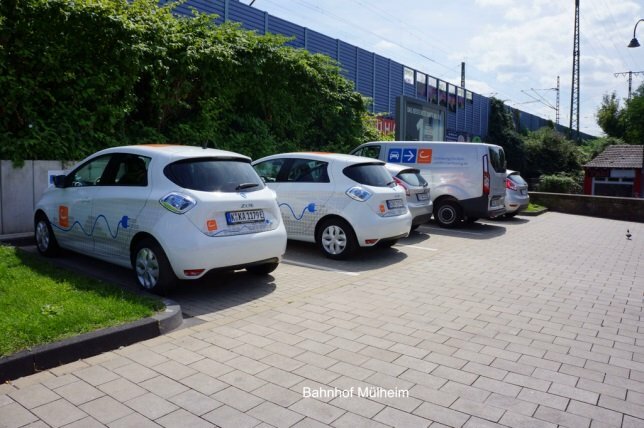 Fully equipped, this station has 5 carsharing spaces (3 conventional, 2 e-cars), 2 charging stations, 15 Bikes (10 conventional, 5 e-bikes). 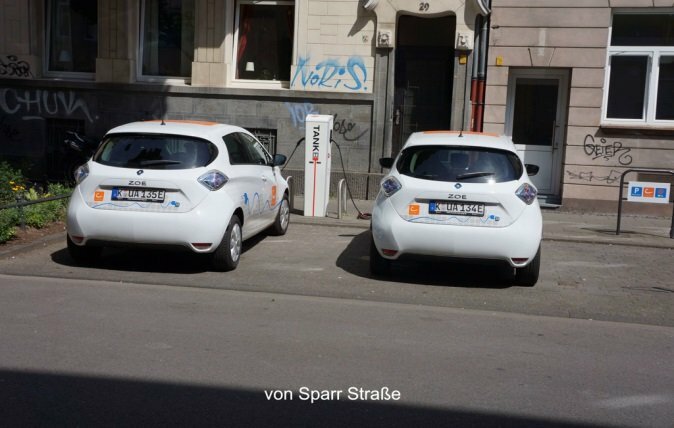 At this station 4 carsharing spaces (2 conventional cars, 2 e-cars) and 1 charging station are in operation. 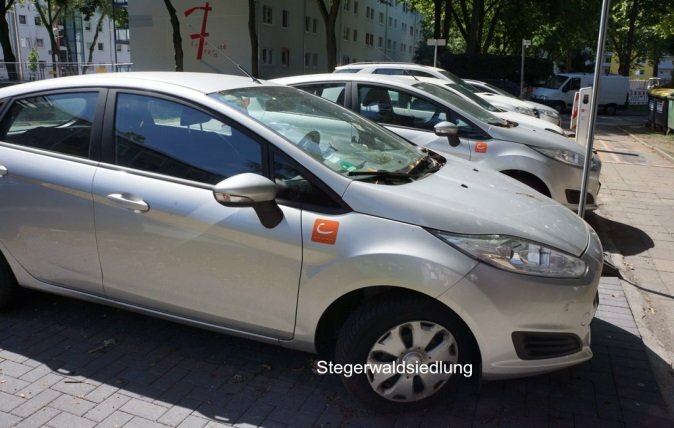 At the Stegerwaldsiedlung mobility station, where all GrowSmarter energy measures are implemented, 4 carsharing spaces (2 conventional cars, 2 e-cars) and 2 charging stations are already in place. Two Ampido parking spaces and 8 bikes (4 conventional, 4 e-bikes) will be located here by the end of 2017. 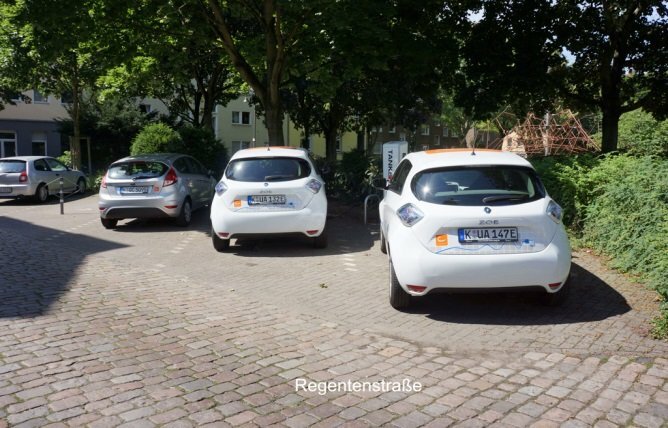 At this location residents can use 4 carsharing cars (2 conventional cars, 2 e-cars) and 1 charging station. Six spaces for carsharing cars (4 conventional cars, 2 e-cars) are located at this site. Whether a charging station can be installed is currently under investigation. 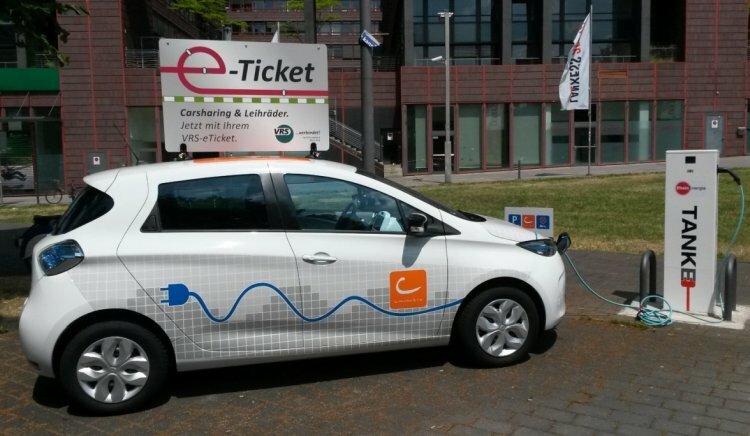 The industrial partners KVB and Cambio are expecting a much greater use of the mobility stations after the introduction of the mobility card. Users of public transport must have the possibility to use bus, tram (lightrail), bicycles and passenger cars with one ticket. Cambio and KVB are currently developing a so called “Mobiltätskarte (Mobilticket)”, an enhancement of the already existing subscription ticket. With this “Mobiltätskarte” travellers will be able to use bus, trams, bicycles and carsharing cars with their normal ticket.